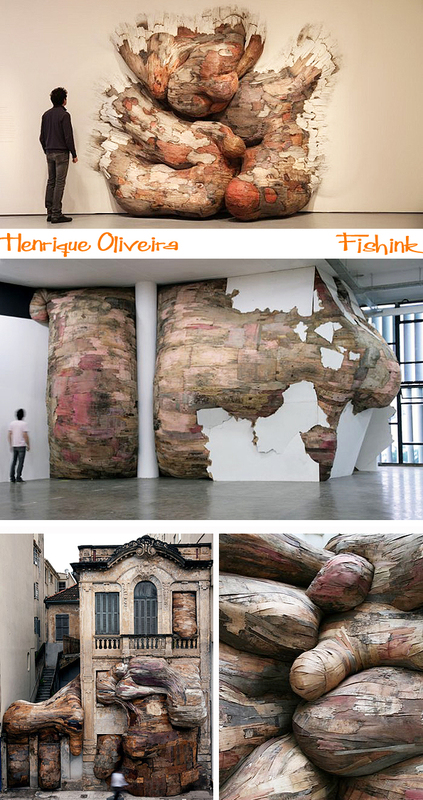 Living in Sao Paulo, sculptural artist Henrique Oliveira uses old plywood, pvc and fencing that is recycled from landfill sites to create his naturalistic forms. 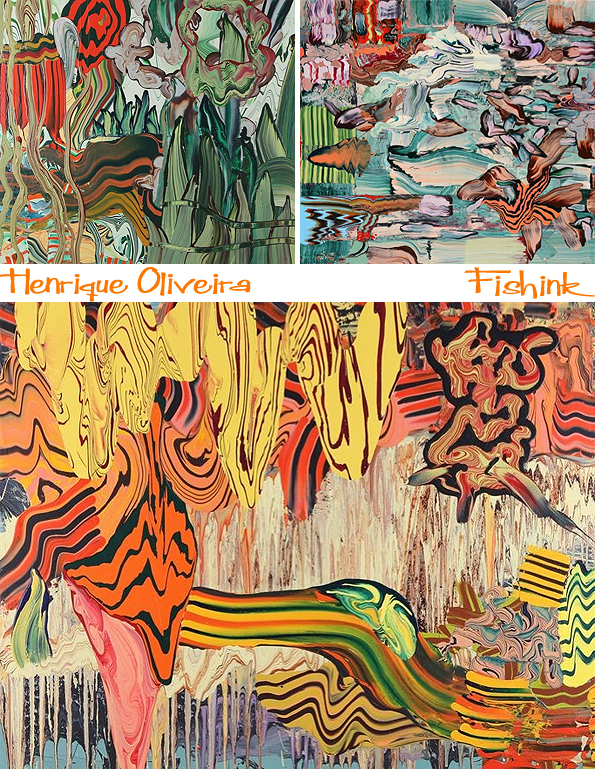 Born in Ourinhos, Brazil in 1973, he received a BFA in painting in 2004 and a masters in visual poetics in 2007 from the University of São Paulo, Brazil. 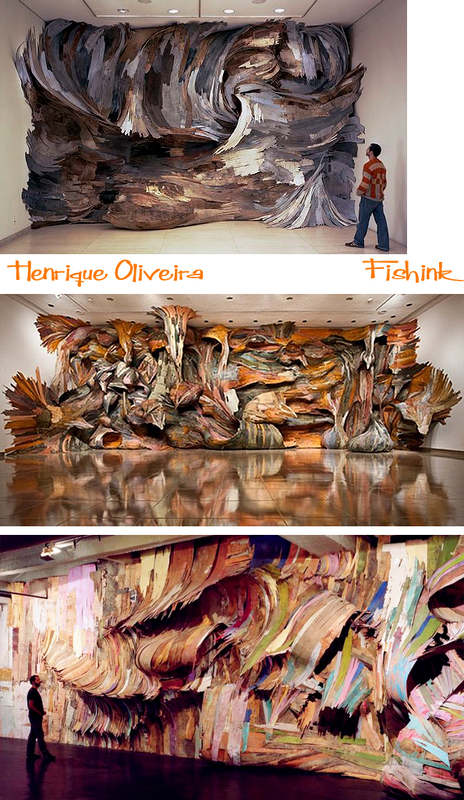 Oliveira uses salvaged wood collected from the streets of São Paulo to create massive scale, site-specific installations with dense layers that twist, curve, bend, and split. Oliveira uses tapumes — which in Portugese can mean fencing, boarding, or enclosure — as a title for many of his large-scale installations. The term makes reference to the temporary wooden construction fences seen throughout the city of São Paulo where Oliveira lives. 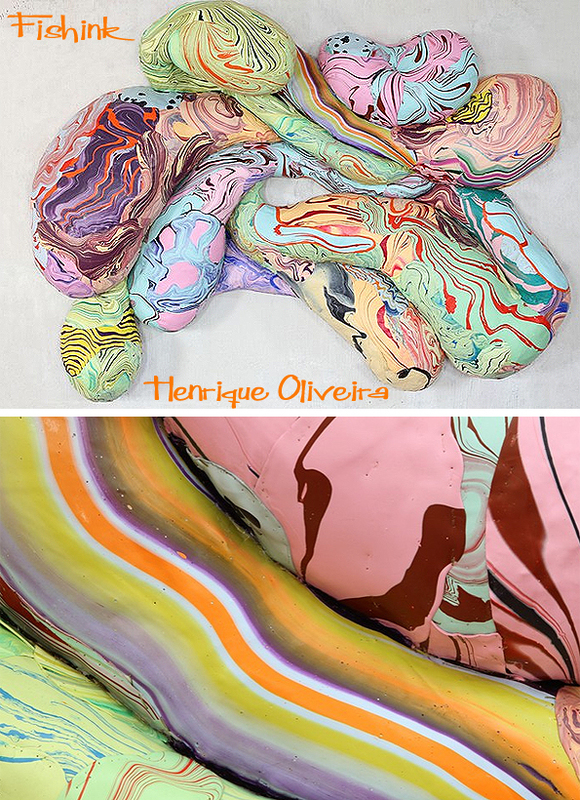 His work also includes painting which you can see referencing his sculptural installations. Occasionally his paintings even turn sculptural ! 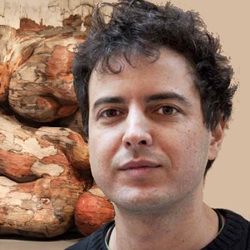 Henrique’s breakthrough occurred when he was a student at the University of São Paulo, where for two years the view from his studio window was a wooden construction fence. 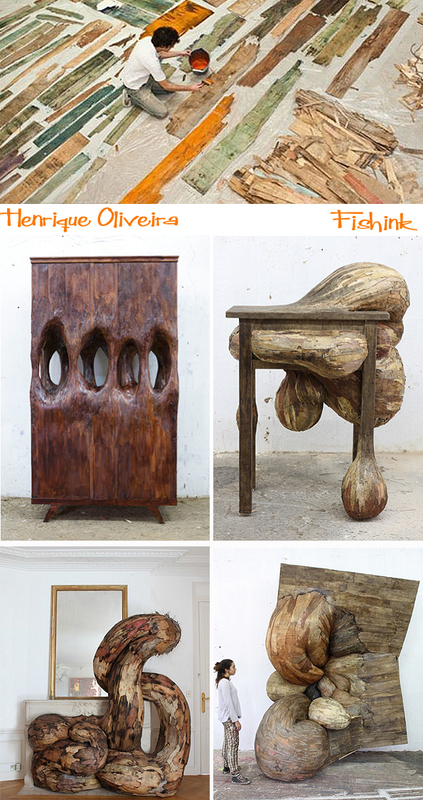 Over time Oliveira began to see the deterioration of the wood and its separation into multiple layers and colours. One week before the final student show opened, the construction was finished and the worn out plywood fence was discarded. 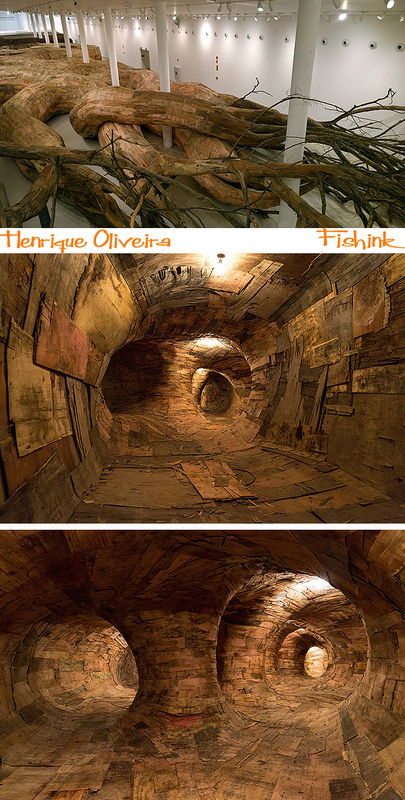 Oliveira collected the wood and used it in his first installation. 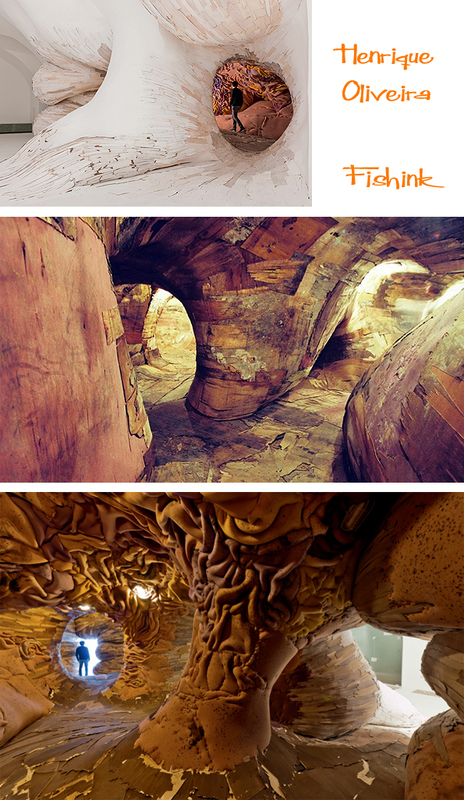 His work has evolved into landscape environments. 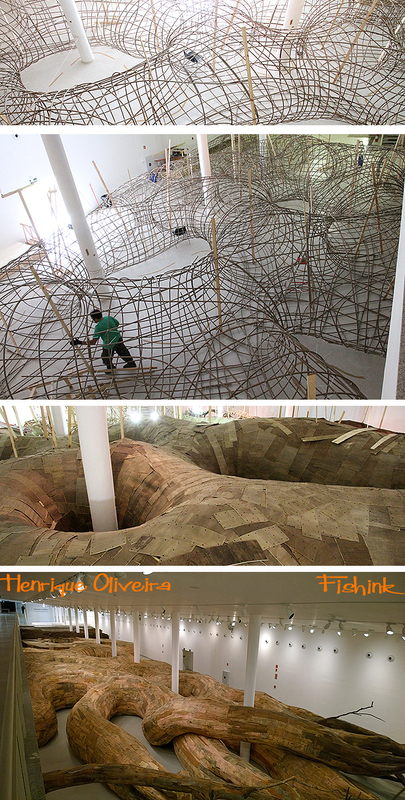 Henrique recently completed work on his largest installation to date titled Transarquitetônica at Museu de Arte Contemporânea da Universidade in São Paulo. As with much of his earlier sculptural and installation work the enormous piece is built from tapumes, a kind of temporary siding made from inexpensive wood that is commonly used to obscure construction sites. Oliveira uses the repurposed wood pieces as a skin nailed to an organic framework that looks intentionally like a large root system. 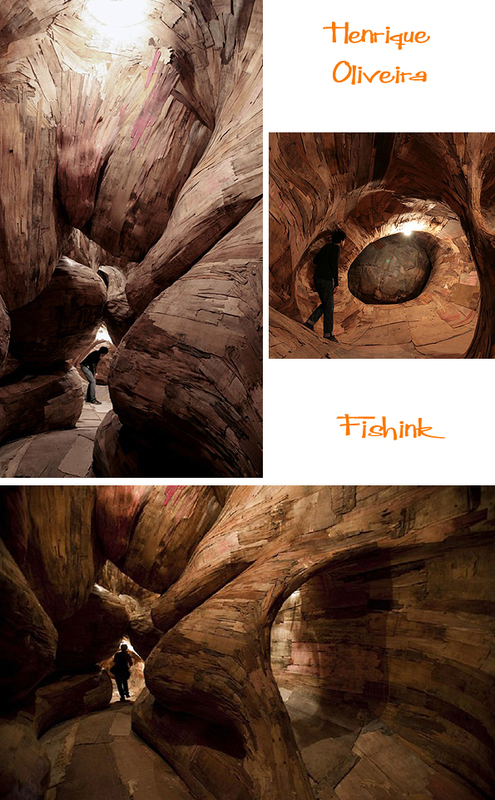 Because the space provided by the museum was so immense, the artist expanded the installation into a fully immersive environment where viewers are welcome to enter the artwork and explore the cavernous interior. Thanks to the site This is Colossal for showing me his work initially. 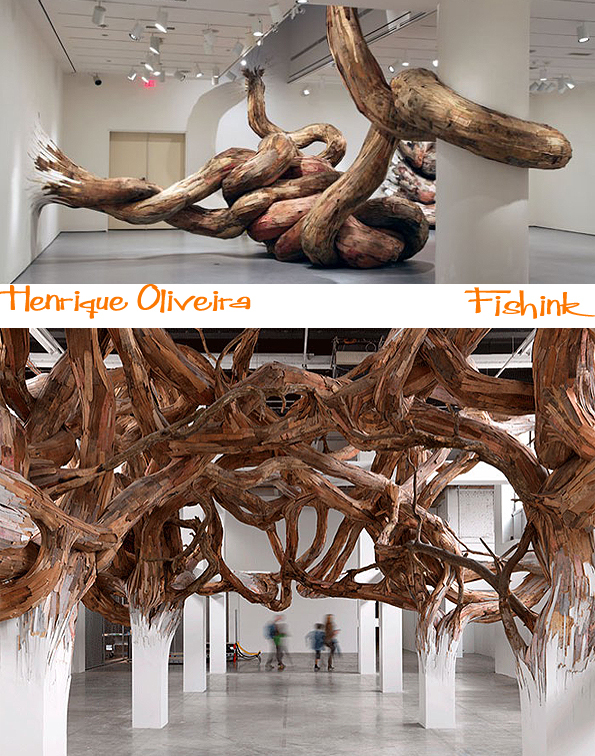 All other images are copyright of Henrique Oliveira’s site. Wow! These are beautiful. The piece oozing out of the house is particularly amazing. I’d love to go and see his work. Wonderful! I’d love to see the actual work too. Must be amazing, walking through those environments eh Harry !